or if you even need one? Do you ever feel like you have a million passwords to organize and/or remember? If you spend any time online, then you might not have quite a million – but you certainly have dozens of logins. This includes social media (such as Facebook and Twitter), entertainment (such as NetFlix and Hulu), shopping (such as Amazon and Overstock), plus personal accounts at banks, electric companies, utilities and more. And those are just your personal accounts! Chances are, you have accounts that you need to remember for business purposes as well. And if you have family members, then everyone in the household likely has loads of login information. SO HOW DO YOU ORGANIZE ALL THIS INFORMATION? The solution some people use is to simply use one password for all sites. But that’s extremely dangerous, even if the password is exceedingly strong. That’s because if a site is breached and hackers get access to your password for one site, they’re very likely to try using it on all popular sites. For example, a hacker might get your NetFlix password, and then the first thing they’re going to do is try this password out on PayPal, Gmail, Amazon and many other popular sites. Still another solution that some people use is to create a spreadsheet or other similar file with their passwords. The problem here is that if a hacker breaches your computer, they have access to ALL your login information. And you can bet they’re going to put it to use as quickly as possible. Another common solution is for people to simply write down all their passwords. That works if you’re writing them down on PAPER, as hackers can’t retrieve a piece of paper from your desk. But the problem with this solution is that it’s a cumbersome system, especially if you’re trying to log in using your phone and your password list is sitting back at home. Here’s a good solution that takes away all the negatives of the options mentioned above: use password manager software. Password manager software not only securely organizes all of your passwords and keeps them in one encrypted place, a lot of these apps have other useful features such as auto logins and the ability to fill in a long form with just a click or two. 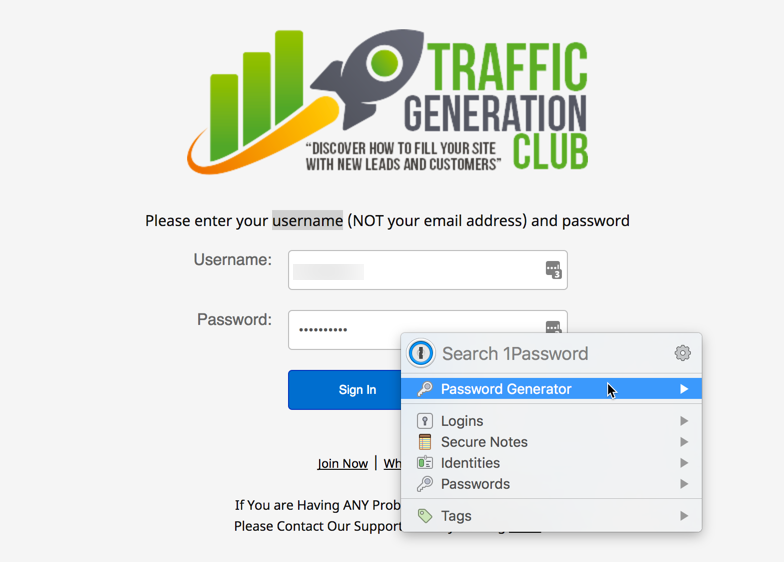 Of course if you start searching for password management software, you’re likely to get pretty overwhelmed. There are a lot of options out there, and it’s hard to know which ones to trust and which ones are right for you. so that you don’t need to do it! 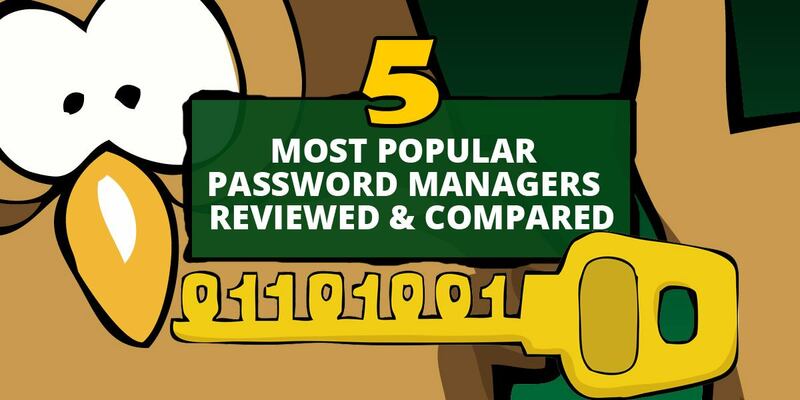 If a password manager made it on our list, then you know it’s a reputable and trustworthy solution. ​So all you have to do is view the features to see which ones suit you best. Easy to use. No sense in having a password manager if it’s not convenient and user-friendly. Not intrusive. Specifically, we were looking at solutions that appear when needed, and then melt into the background when the task is complete. The app should work across all devices, so you can use it on your desktop/laptop, tablet, phone and other devices. The app should support major platforms, including Android and iOS. It should also support Chrome, Safari and Firefox. Ideally, the app should integrate with a browser extension or a lightweight interface, and allow for quick easy access with just a click or two. Secure sharing with other people, which means you shouldn’t need to reveal your actual password in order to let others use your logins. For example, if you’re sharing your NetFlix password with your children, they can access the entertainment without knowing your password. On mobile, the auto fill should work with the Chrome browser for Android, and it should work with both Safari and Chrome for the iPhone iOS. The software should make it easy to auto-capture, save, and update your login information. 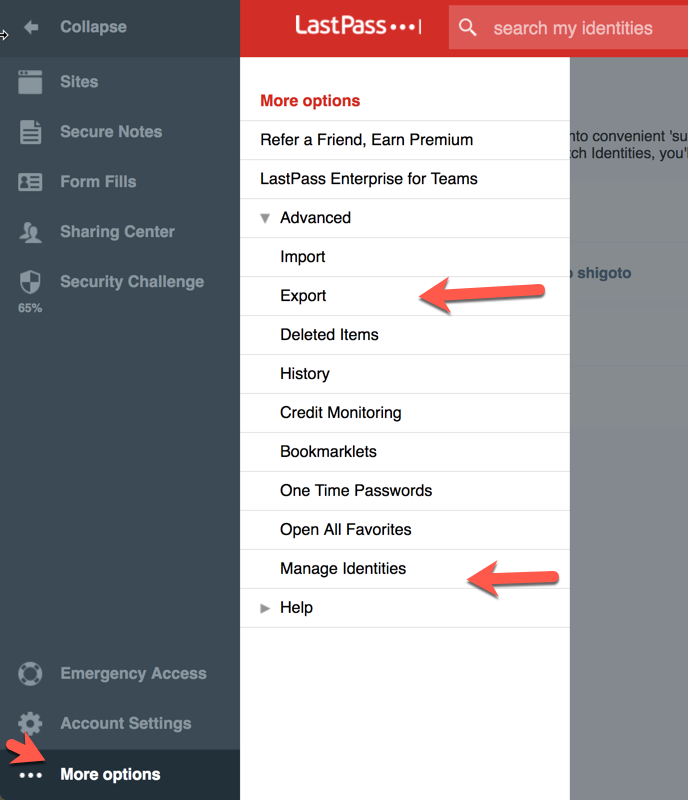 The password manager should allow for exporting and importing data. Not only does this help you create a backup, but it also makes transferring between password managers easy. Add extra protection. Once you have picked out your favorite application, then enable two-factor authentication whenever possible. You should also enable the recovery phone and recovery email functions. Keep your phone protected. It’s a good idea to password-protect your phone itself, so there’s no way for a thief to get inside your password manager. 1Password is part of the Canadian-based AgileBits company. The password manager was developed in 2006. Since then, the app has won a variety of awards and mentions over the years, including Apple Staff Pick, plus a variety of good reviews. 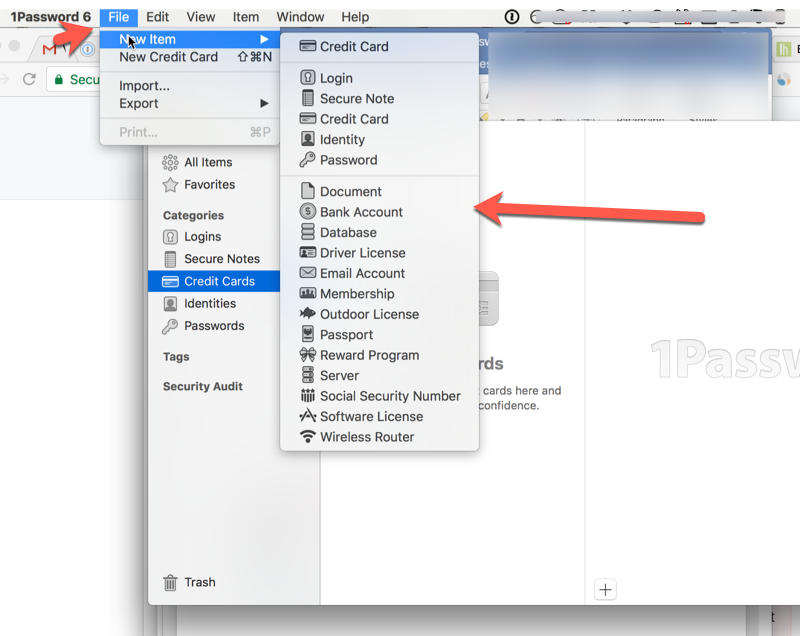 Is 1Password right for you? 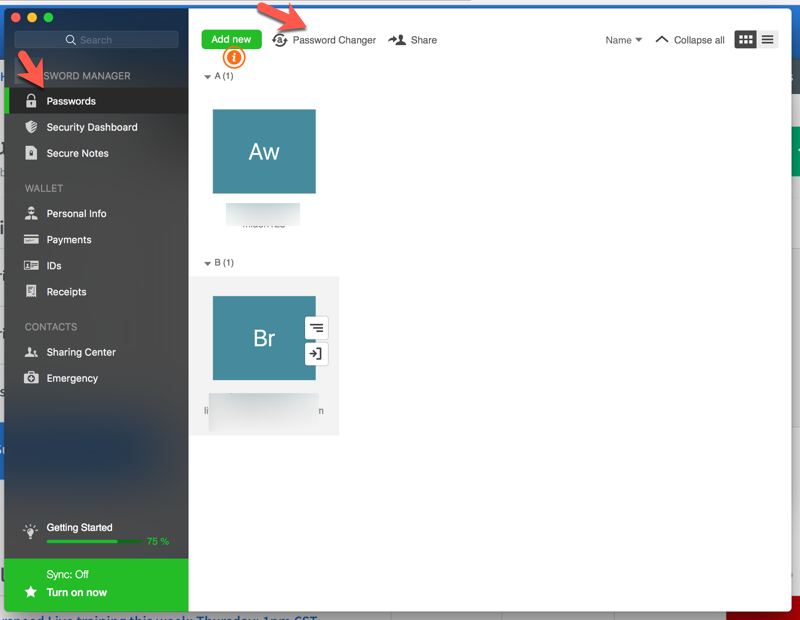 Via desktop: Accessing 1Password on your PC is relatively easy, as all you have to do is click on the browser icon, or you can opt to right click your mouse to get access. Via Android mobile: Access via Android didn’t work well during our testing. This may explain why the app has received various awards and mentions from Apple/Mac sites (including Apple Staff Pick), but no comparable awards from Android-based sites. Via IOS mobile: This app supports Safari only (no Chrome). In addition, it requires extra clicking and scrolling to access the app. Discreet, Not intrusive: Not exactly, as it’s visible with a desktop icon and browser icon. While this makes it easy to find the icon on your computer, it doesn’t run invisibly in the background quite as seamlessly as some of the other password managers we tested. Auto-fill: Yes. 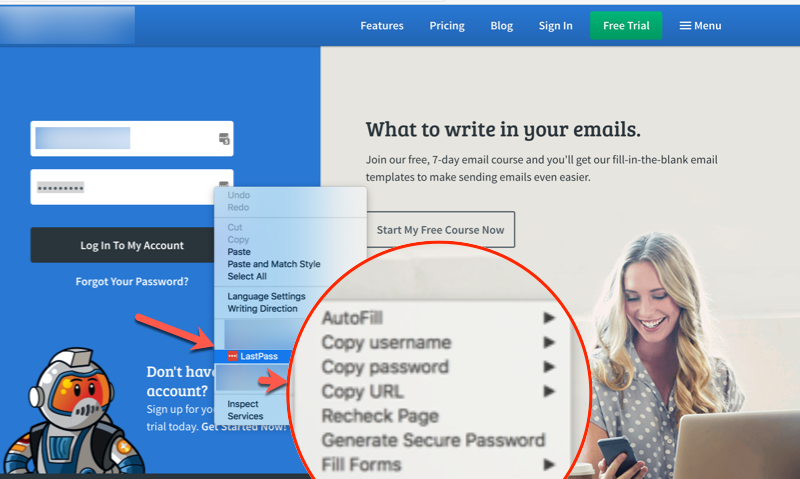 Auto fill on desktop requires clicking a few times here and there, and it’s definitely not as quick and convenient as competitors such as LastPass and Dashlane. Auto capture/ save /update login: Yes. This worked well on a desktop when we tested it. One click generating strong password: Yes this is available. Search password function: Yes. You can also use tags so that searching is even easier. This is a great feature when you start accumulating logins across dozens of sites. secure notes, credit cards, identifies and passwords. 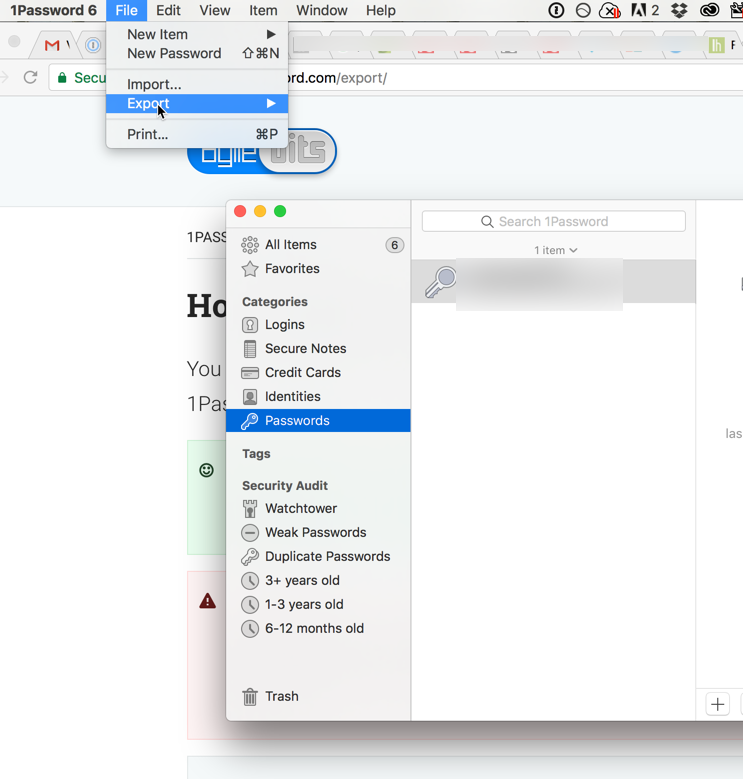 Import function: Yes, you can import data from other apps into 1Password. Support all the major platforms and browsers: Yes. 1Password works with Windows, macOS, iOS, and Android. 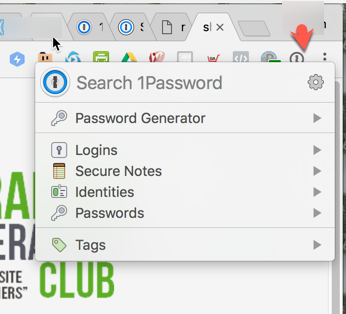 If you’re using a desktop computer, 1Password requires a full installation in addition to a browser extension for Chrome, Firefox and Safari. We found that the set up on a desktop and Android mobile is a bit more tedious than other password managers. 1Password seems to be designed primarily for iPhones, and it was built later to accommodate other platforms. Take note: On iOS (the iPhone), 1Password only supports Safari, not Chrome. 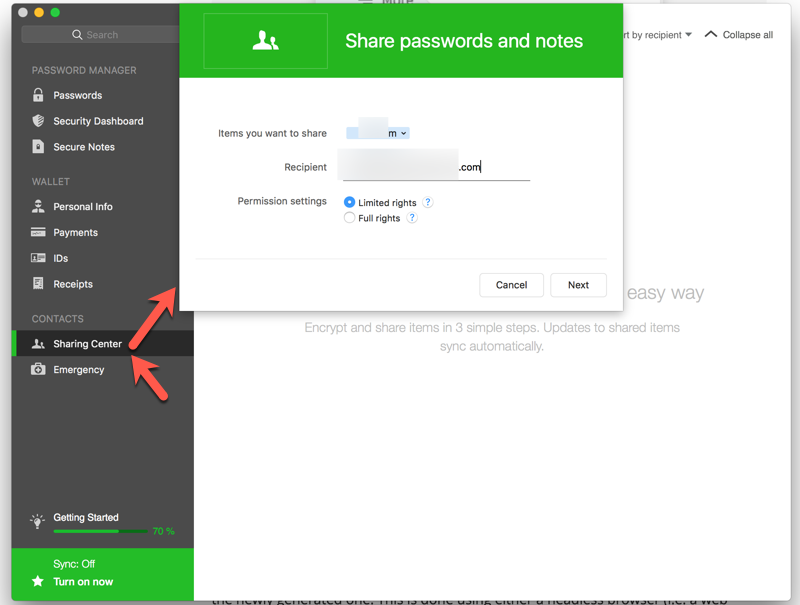 Sync passwords securely across all devices: Yes. This allows you to access your passwords and securely log into devices on your computer, laptop, tablet, and/or phone. You can even use it on your Apple Watch if you unlock the Pro features. Secure sharing: Yes. 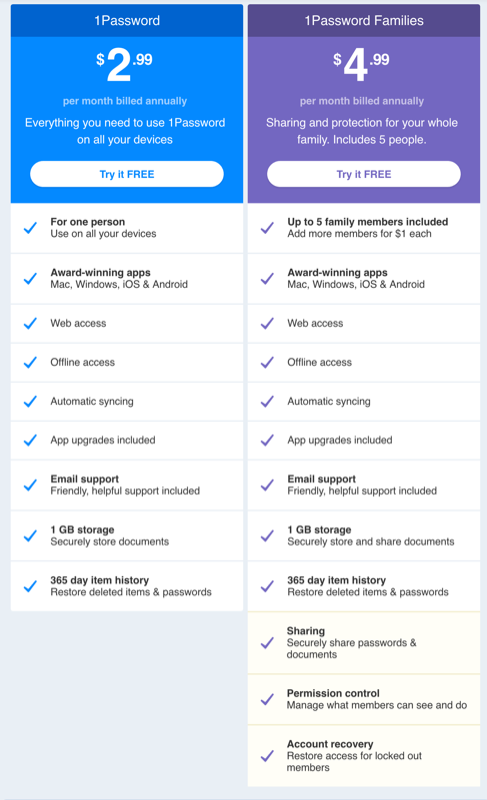 This feature is available if you choose the Family account subscription. Different profiles or entities: Yes, this feature is available. 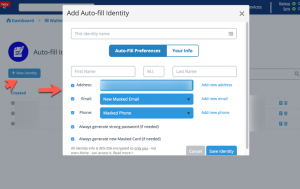 1Password lets you create different “vaults,” and then select the people to whom you give access to these vaults. For example, maybe you want your children to have access to entertainment such as NetFlix and Amazon, so you create and share a vault with them. However, you’d create a separate vault for items such as banking, as your teenagers wouldn’t need to have access to those items. Note: not only can you do this with family accounts, but you can also set up “teams” for business purposes. For example, you’d create separate vaults for different groups such as freelancers and joint venture partners. Two-factor authentication: Unlike LastPass and Dashlane, 1Password issues a secret key, and this key PLUS a master password is required to log into the app. Auto fill on mobile: Yes. Auto-fill on iOS: It’s available, although you need to click a few times here and there to access it. Auto fill on Android: It’s available, but we found it very tedious to set up, mainly due to the long string of secret keys and all the additional settings required. What’s more, auto-fill didn’t work well during our testing. Auto Change Password: No, this feature is not available. Our experience is that 1Password is a bit harder to install, set up and log into comparing to other password managers. This password manager used to be for Apple products only, but now they support Windows and Android as well. However, the Apple app is far superior to the Windows/Android version. 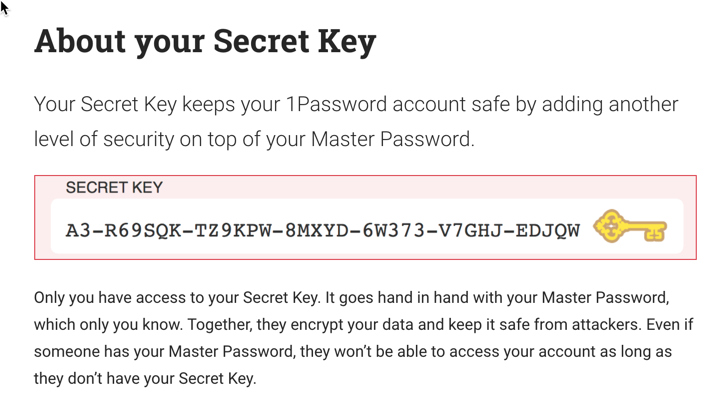 We found it annoying to find and manually type the long secret key string in addition to the master password in order to get access to the app, especially on mobile. This password manager does the job of keeping your login information safe and accessible. 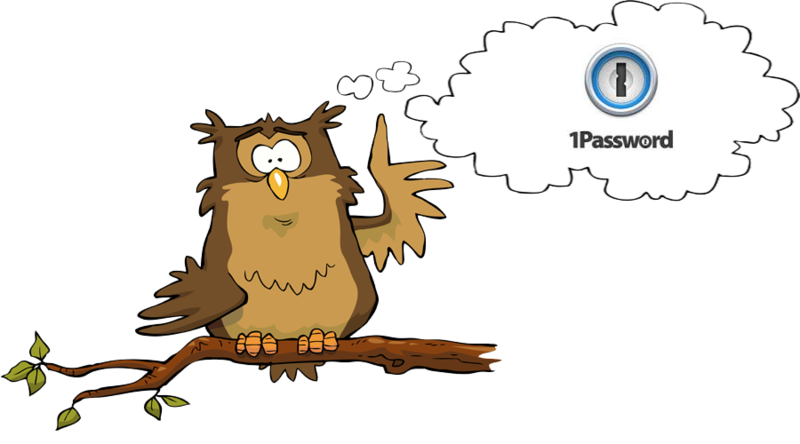 If you’d like to learn more about 1Password, you can visit them online at http://www.1password.com. Blur is an password-management solution brought to market by the online privacy company Abine. The Boston-based company has millions of customers from around the world, and Blur has received good ratings on sites such as Forbes, CNet, and PCWorld. Can Blur Match Up To The Competition? Easy to use: Yes, especially on a desktop. ​On desktop : right click your mouse to get access to the app, or click on the browser icon. On Android mobile: We found that it did not work well during our testing. On IOS mobile: supports Safari only (no Chrome). It requires extra clicking and scrolling to access the app. Blur is smart enough to pop out when you need it, and tuck itself away again when the task is complete. Auto capture/ save /update login: Yes. Worked well on a desktop during our testing. One click generating strong password: Yes. 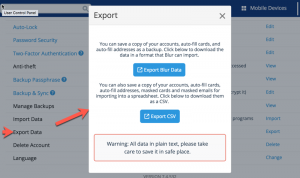 Export function: Yes, you can export your data to back it up. This back up comes in a text file (CSV), so you need to keep it in a safe place. 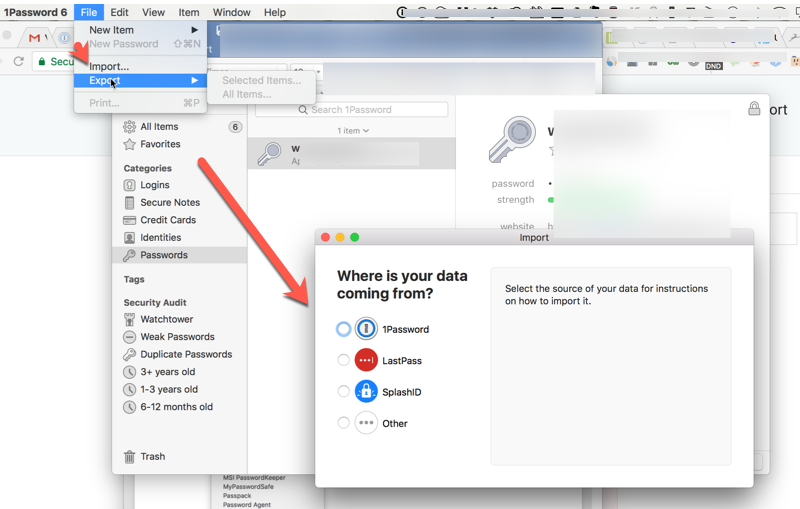 Import function: Yes, you can import data from other apps, including Dashlane, LastPass, 1Password, Roboform, and many more. Supports all the major platforms and browsers: Yes, see below. Blur is available for Windows, macOS, iOS, and Android. On a desktop computer or laptop, Blur is accessed with a browser extension integrating to Chrome and Firefox, as well as the Safari browser on macOS. 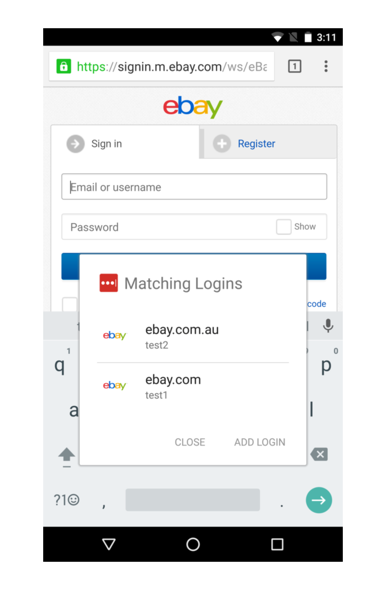 The smart light weight browser extension lets you click a button or use a keystroke to fill in your credentials quickly with ease. Note: If you’re using iOS on an iPhone, it only supports Safari, not Chrome. Tip: Blur has a function to stop 3rd party websites from installing their tracking cookies. If for some reason you encounter difficulties filling in a form or logging into a site, turning off this feature should help. Sync passwords securely across all devices: Yes. And this means you can access your passwords and other credentials on your desktop, laptop, tablet, and phone. Digital wallet: Yes, this feature is included. 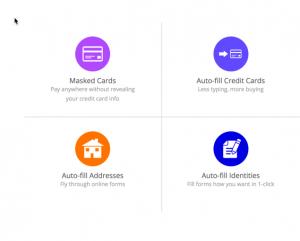 Blur not only saves your credit cards, form, and address information. 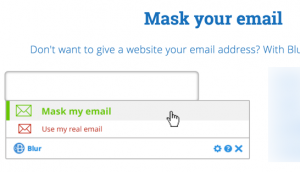 Blur can also mask email, phone, address, credit card so that you don’t need to give the “real” credentials to a website. This function is unique and very useful. Secure sharing: No, you can’t share your information with others, such as family members or business partners. Different profiles or entities: No. 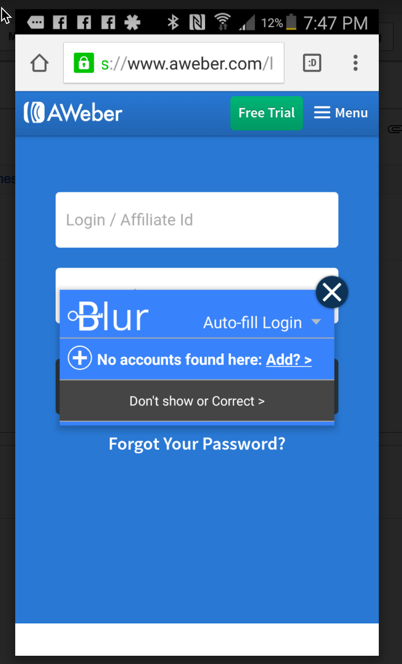 Unlike competitors such as LastPass and 1Password, Blur doesn’t let you create distinctive groups or segments for information-sharing purposes. 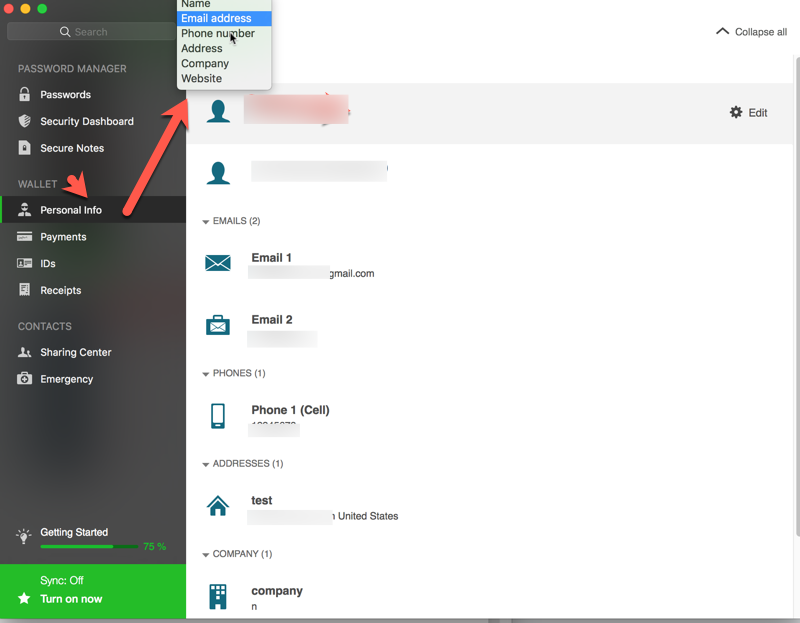 However, Blur does allow you to add unlimited personal profiles. 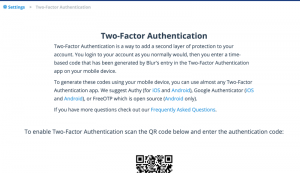 Two-factor authentication: Yes, you can enable this extra layer of protection. IOS: You need to set it up, but it’s done fairly fast with a few clicks. Android: The auto-fill feature did not work well during our testing. 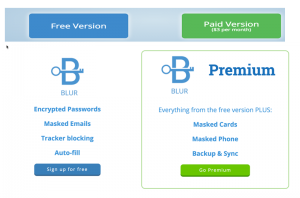 Note that Blur’s basic account is available for free, but the Premium upgrade is worth the price for the extra features. ​We think Blur is very easy to install, set up and use. The ability to mask a real phone number, address, and emails, as well as generating virtual credit cards on the fly are all unique and strong features. (Although note that generating virtual credit cards does have a fee to use). In fact, we like and trust Blur so much that we use it alongside LastPass. To learn more about Blur, go to http://promotelabs.link/blur. Introduction: Juggling Too Many Passwords? Do you ever feel like you have a million passwords to organize and/or remember? If you spend any time online, then you might not have quite a million – but you certainly have dozens of logins. This includes social media (such as Facebook and Twitter), entertainment (such as NetFlix and Hulu), shopping (such as Amazon and Overstock), plus personal accounts at banks, electric companies, utilities and more. And those are just your personal accounts! Chances are, you have accounts that you need to remember for business purposes as well. And if you have family members, then everyone in the household likely has loads of login information. Good news: we’ve done all the researching and testing so that you don’t have to. If a password manager made it on our list, then you know it’s a reputable and trustworthy solution. So all you have to do is view the features to see which ones suit you best. •	Easy to use. No sense in having a password manager if it’s not convenient and user-friendly. •	Not intrusive. Specifically, we were looking at solutions that appear when needed, and then melt into the background when the task is complete. •	The app should work across all devices, so you can use it on your desktop/laptop, tablet, phone and other devices. •	The app should support major platforms, including Android and iOS. It should also support Chrome, Safari and Firefox. Ideally, the app should integrate with a browser extension or a lightweight interface, and allow for quick easy access with just a click or two. •	Secure sharing with other people, which means you shouldn’t need to reveal your actual password in order to let others use your logins. For example, if you’re sharing your NetFlix password with your children, they can access the entertainment without knowing your password. •	On mobile, the auto fill should work with the Chrome browser for Android, and it should work with both Safari and Chrome for the iPhone iOS. •	The software should make it easy to auto-capture, save, and update your login information. •	The password manager should allow for exporting and importing data. Not only does this help you create a backup, but it also makes transferring between password managers easy. •	Add extra protection. Once you have picked out your favorite application, then enable two-factor authentication whenever possible. You should also enable the recovery phone and recovery email functions. •	Keep your phone protected. It’s a good idea to password-protect your phone itself, so there’s no way for a thief to get inside your password manager. Via desktop : Accessing 1Password on your PC is relatively easy, as all you have to do is click on the browser icon, or you can opt to right click your mouse to get access. As you can see, the password manager lets you export logins, secure notes, credit cards, identifies and passwords. Support all the major platforms and browsers: Yes. 1Password works with Windows, macOS, iOS, and Android. Different profiles or entities: Yes, this feature is available. 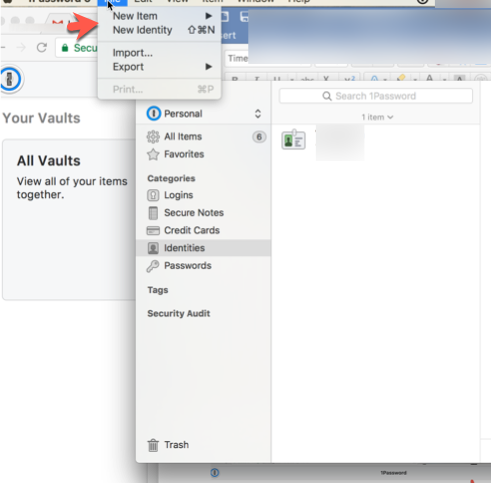 1Password lets you create different “vaults,” and then select the people to whom you give access to these vaults. For example, maybe you want your children to have access to entertainment such as NetFlix and Amazon, so you create and share a vault with them. However, you’d create a separate vault for items such as banking, as your teenagers wouldn’t need to have access to those items. Auto fill on Android: It’s available, but we found it very tedious to set up, mainly due to the long string of secret keys and all the additional settings required. What’s more, auto-fill didn’t work well during our testing. 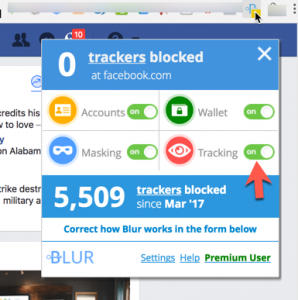 Blur is an password-management solution brought to market by the online privacy company Albine. The Boston-based company has millions of customers from around the world, and Blur has received good ratings on sites such as Forbes, CNet, and PCWorld. + On desktop : right click your mouse to get access to the app, or click on the browser icon. + On Android mobile: We found that it did not work well during our testing. + On IOS mobile: supports Safari only (no Chrome). It requires extra clicking and scrolling to access the app. We think Blur is very easy to install, set up and use. The ability to mask a real phone number, address, and emails, as well as generating virtual credit cards on the fly are all unique and strong features. (Although note that generating virtual credit cards does have a fee to use). In fact, we like and trust Blur so much that we use it alongside LastPass. To learn more about Blur, go to https://dnt.abine.com/#/register. The company behind Dashlane says they are “on a mission to fix the internet,” since most everyone has a password problem. The Dashlane app has won critical acclaim and mentions from organizations and media such as Fortune, PC Mag, Popular Science and more. Easy to use: Yes, we found it very easy to use. + On desktop: you just need to click on the browser menu icon to get access to the app. + On Android mobile: auto fill works fairly well. + On IOS mobile: Dashlane supports chrome and Safari. However, it requires a little extra clicking and scrolling to access the app. Dashlane does a good job of only popping up when you need it, and then disappearing again when the task is complete. Auto capture/ save /update login: Yes. It worked, but unfortunately it didn’t work consistently during our testing. Search password function: Yes, which makes it easy to find logins and other information. 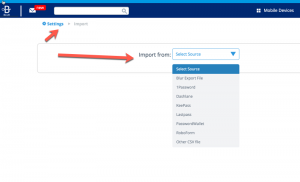 Export function: Yes, and you have the choice of exporting either secured information or unsecured information (in text/CSV format). Import function: Yes, you can import data from other apps, using either a secured or unsecured format. 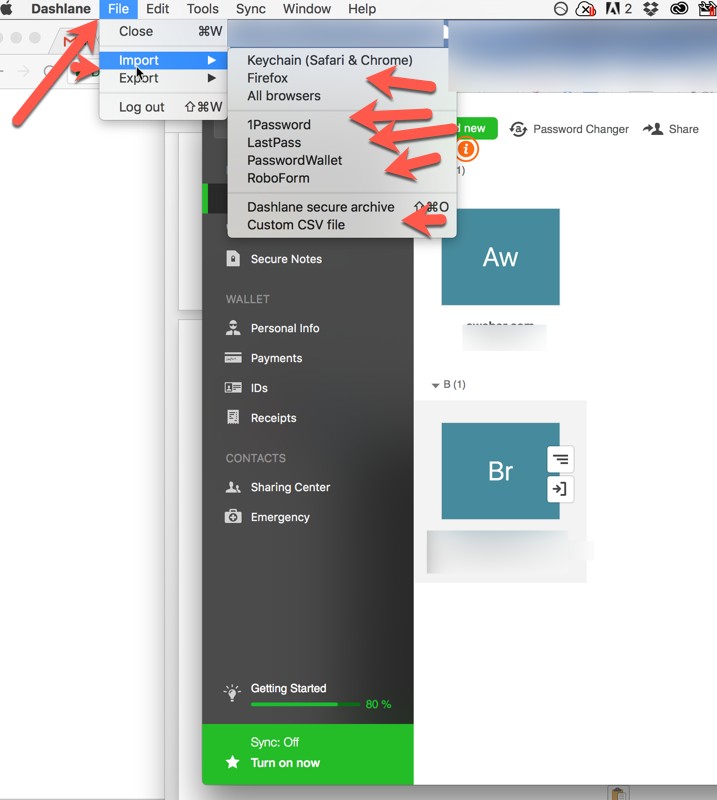 Dashlane supports Windows, macOS, iOS, and Android. 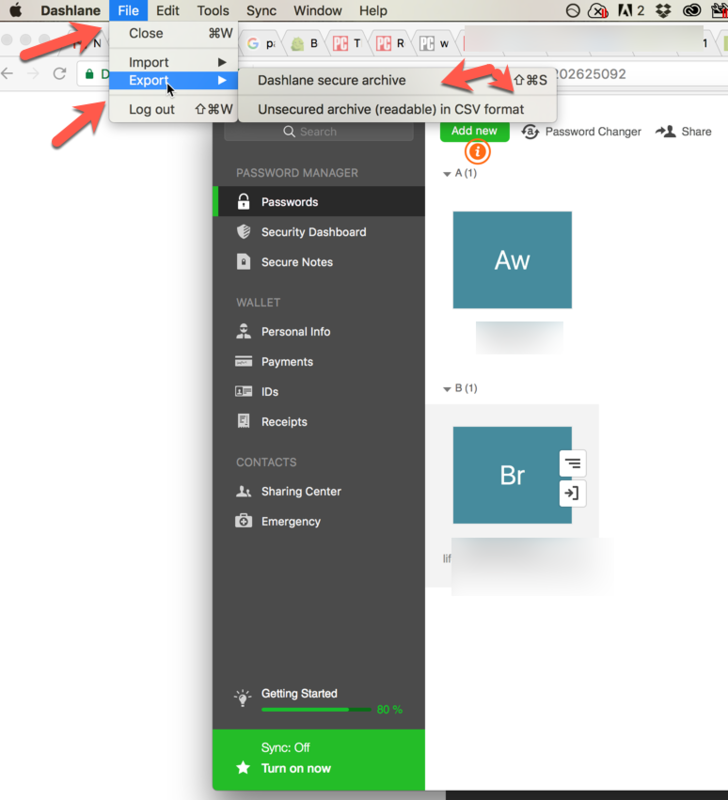 Take note: On a desktop, Dashlane requires a full installation in additional to a browser extension integrating with Chrome or Firefox. If you use macOS, you can also integrate with Safari. Sync passwords securely across all devices: Yes, you can sync across your computer, laptop, tablet and phone. However, this feature is only available with the premium version of Dashlane. 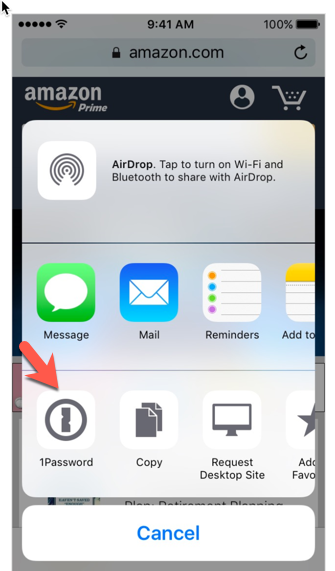 Secure sharing: Yes, but this feature is only available in the premium version. This feature is useful for those who want to share logins with other people without revealing your actual passwords. Naturally, anyone with whom you share logins will need to have a Dashlane account. Different profiles or entities: No, you cannot set up distinctive groups or segments, unlike competitors such as LastPass and 1Password. 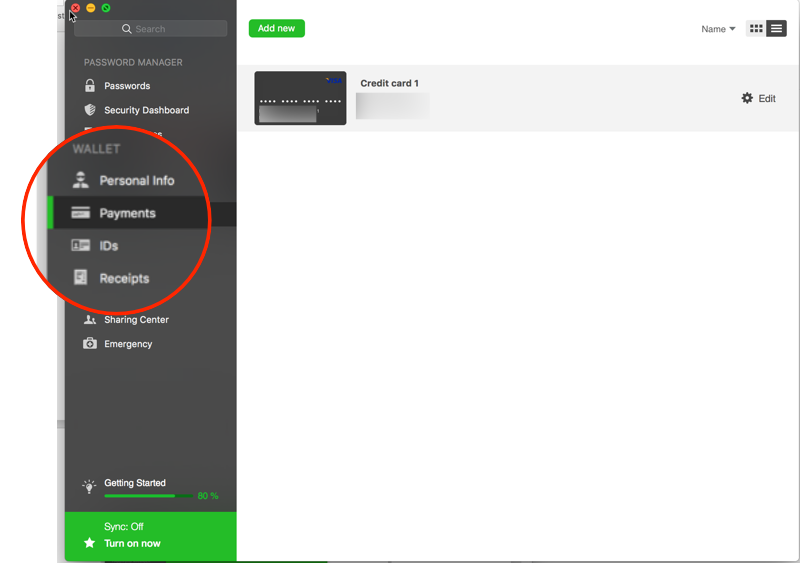 However, Dashlane’s “Personal Info” section allows adding new info fluidly. The Wallet section is also organized nicely, with quick and easy access. Two-factor authentication: Yes, but this extra security feature is only available in the premium version. IOS: First you need to set it up, and then you’re just a few taps away from accessing the feature. You go the website where you want to use the auto fill feature, trigger Dashlane via your browser, tap on the Dashlane icon, and then you’re ready to select which information you’d like to auto fill. Android: We found that auto-fill works much better with android version than iOS. NOTE: If you have at least Android 4.3 or higher installed, you can have Dashlane log into all your other phone apps. 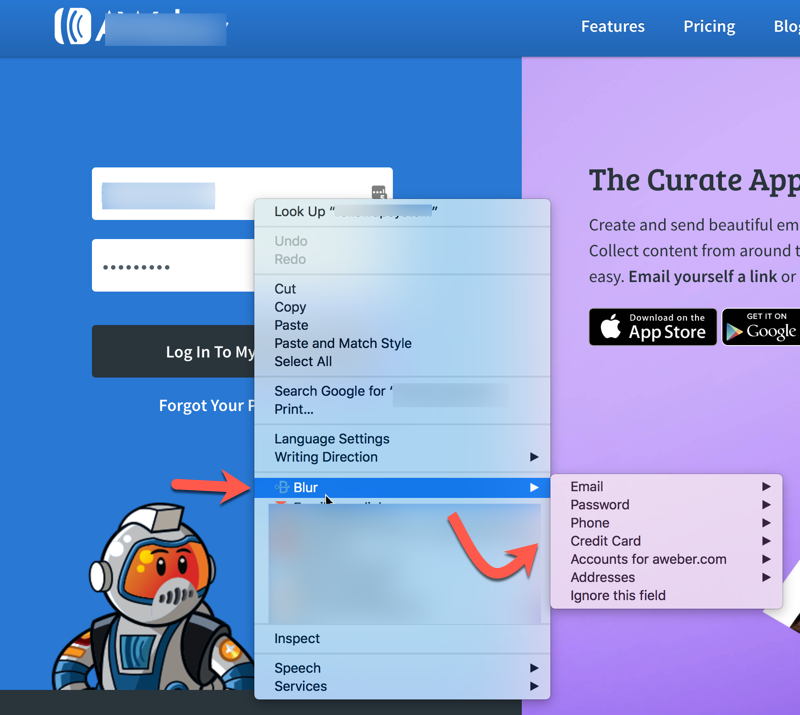 This takes a few steps to set up, but the auto login makes it easier for you in the long run. 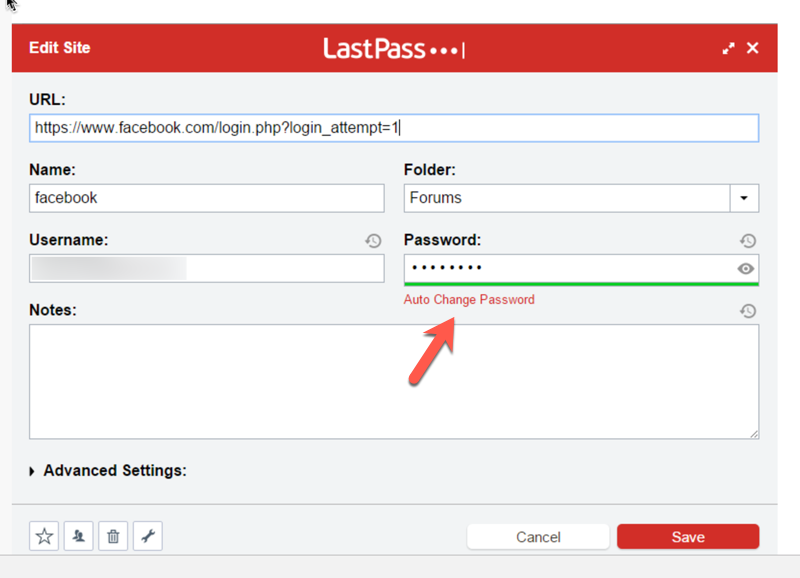 Auto Change Password: Yes, which means you can change a site’s password with a single-click. 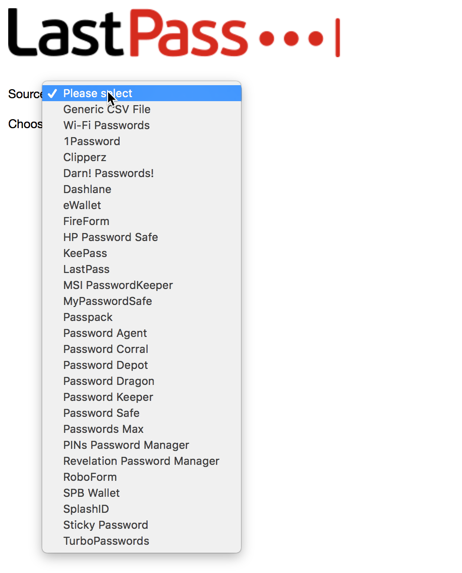 You can view the full list of sites supported by the password-changer at: https://www.dashlane.com/password-changer-list. Price: Prices range from $0 for the basic version, to $39.99 for the Premium (personal) version. 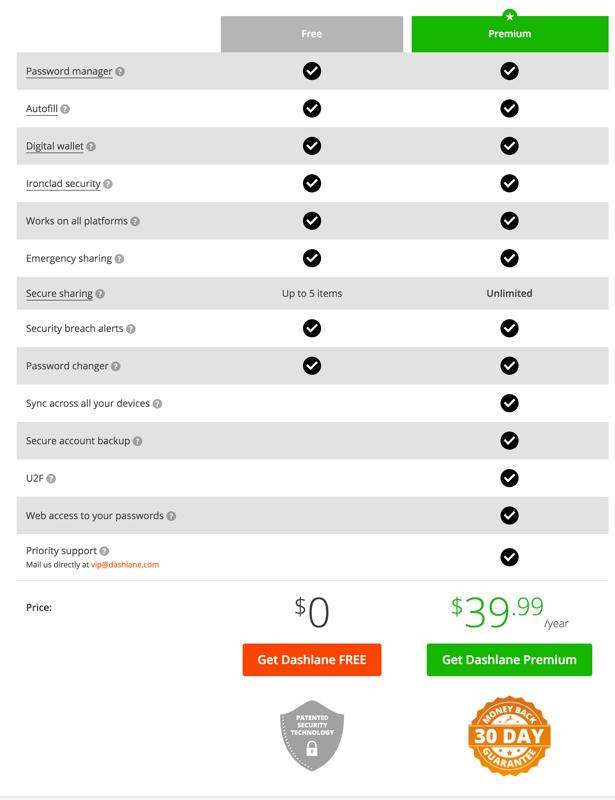 If you’d like to use Dashlane for business, you’ll pay a per-user licensing fee. 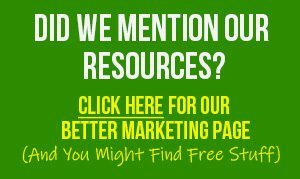 Prices are $2 per user per month for small businesses (2 to 100 users), $1.50 per user per month for 101 to 1000 users, and $1.25 per user per month for more than 1000 users. Dashlane is easy to use, has all the essential features you need to keep your data safe, and it has a user-friendly, modern interface. What’s more, it supports all major platforms and works well on a desktop. The auto fill function for mobile is a weak point. It works okay on Android, but we found it left something to be desired on iOS. Also, some mobile users reported problems with memory leak and battery drain when they use Dashlane. To learn more about Dashlane, visit them online at https://www.dashlane.com/. Before developing LastPass, its founders worked with clients such as Amazon, Dell, American Express and more to deliver ecommerce technology. Then the team turned their attention towards internet password security, and LastPass was born. Today the company is headquartered in Virginia, USA, with a European office in France. 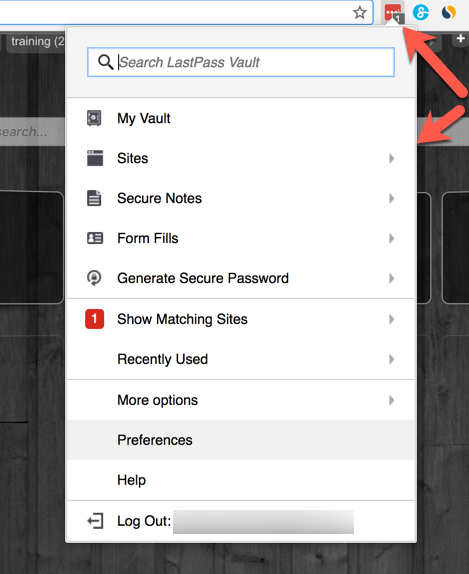 + On a desktop: just right click your mouse to get access, or you can click on the LastPass browser icon. + On Android mobile: Our experience is that auto fill works fairly well. + On IOS mobile: Unlike some competitors, LastPass supports both Chrome and Safari. It does require some extra tapping and scrolling to access the app. LastPass pops up only when you need it, and then hides itself again when not in use. Auto capture/ save /update login: Yes. 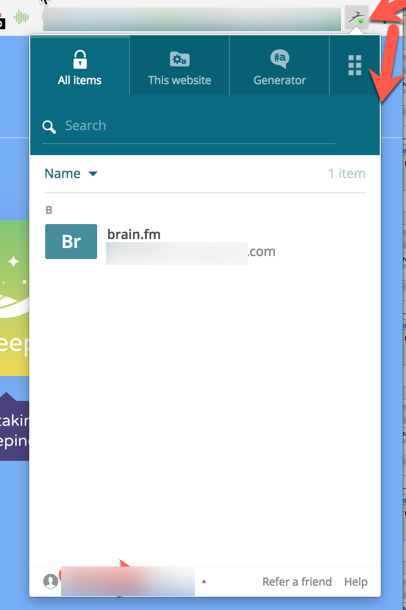 Our testing shows this feature of the password manager worked well on a desktop. Search password function: Yes, which makes it easy for you to find a particular account or other information. Export function: Yes, which simplifies backing up your data or even moving it to another app if needed. Support all the major platforms and browsers: Yes This includes Windows, macOS, iOS, and Android. On a desktop, LastPass is available as browser extension integrating to Chrome and Firefox. It’s also available on Safari if you’re using macOS. The smart, light weight browser extension lets you click a button or use a keystroke to fill in your credentials quickly and with ease. It’s not intrusive, as you don’t even notice it’s there. Sync passwords securely across all devices: Yes, you can access your data across your computer, tablet and/or phone. Digital wallet: Yes, this feature is available. Secure sharing: Yes. You can set up different folders, and then decide who gets access to these folders. This allows you to let family members or others get access to websites without actually exposing your credentials to them. Different profiles, entities: Yes. You can create different profiles, which makes it easy for you to organize your passwords. For example, you can set up one profile for work, and one profile for home. Or you can set up one profile for entertainment, and another profile for banking and investments. Two-factor authentication: Yes. This is an important security feature, as it provides an additional layer of protection for your account. That way, even if someone steals your LastPass password, they’ll still be unable to access your account. 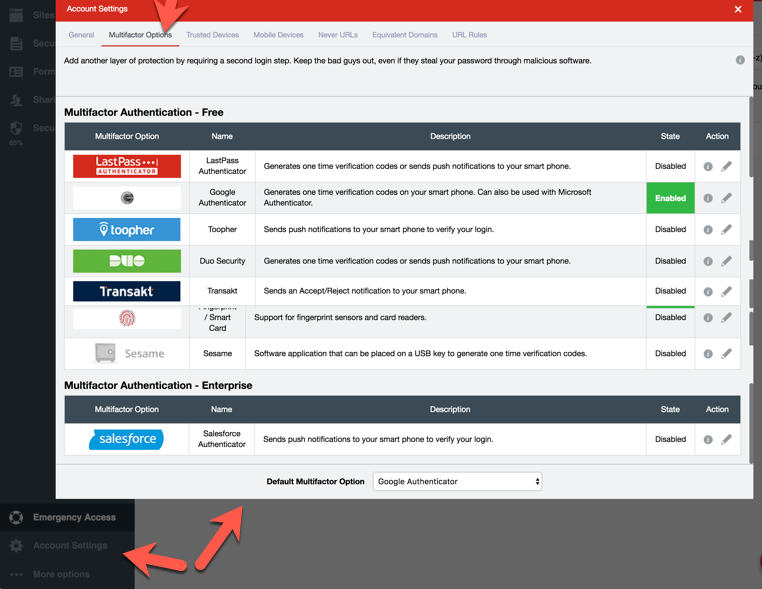 LastPass supports a number of methods for providing two-factor authentication. For example, you can have a one-time authentication number sent to your phone. IOS: Need to set it up, and then you can access it with just a few taps. Android: Our testing showed that auto fill works much better with the Android version as opposed to iOS. However, neither of the mobile versions worked quite as well as the desktop version. Auto Change Password: Yes. This feature lets you change a site’s password with a single-click or tap. At the time of writing, LastPass supports one-click changes across 75 major websites. 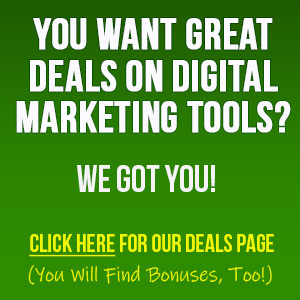 These sites include retail, news, social media sites and much more. 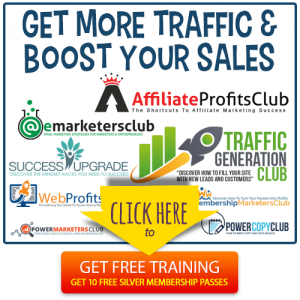 Price: While you can get the basic version for free, the premium version is only $12 a year. The premium version comes with the advanced features such as shared folders for up to five users, encrypted file storage and more. 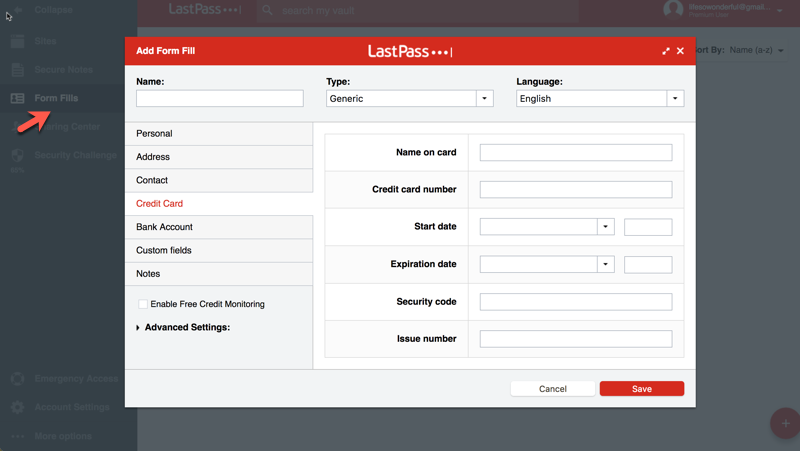 We’ve been using LastPass for five years, and we’ve been extremely pleased with it. At one point there was a security issue that made the news, but the company acted fast and professionally, and the quickly patched it. Meanwhile, the app has been voted by many users and even experts as one of the top password manager solutions. What we like about it is that it’s extremely easy to set up. It comes loaded with all the essential features, and yet it’s not overwhelming to use. There is no software installation required on the desktop, and you only need a few clicks to activate the browser extensions. 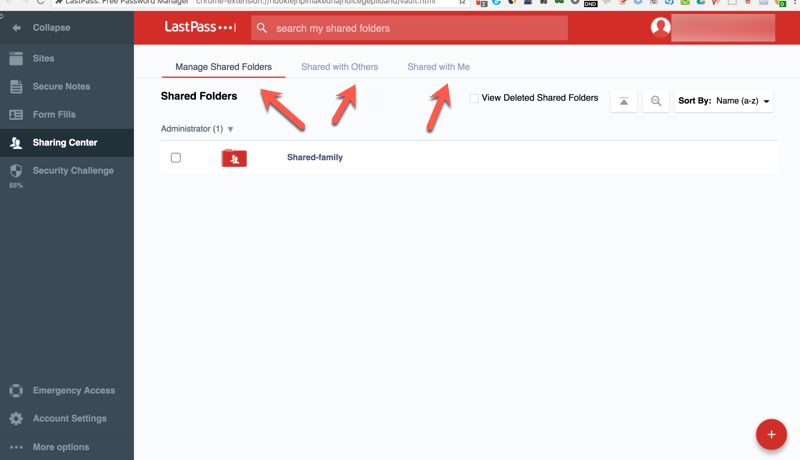 LastPass supports all major platforms and runs well on desktop. 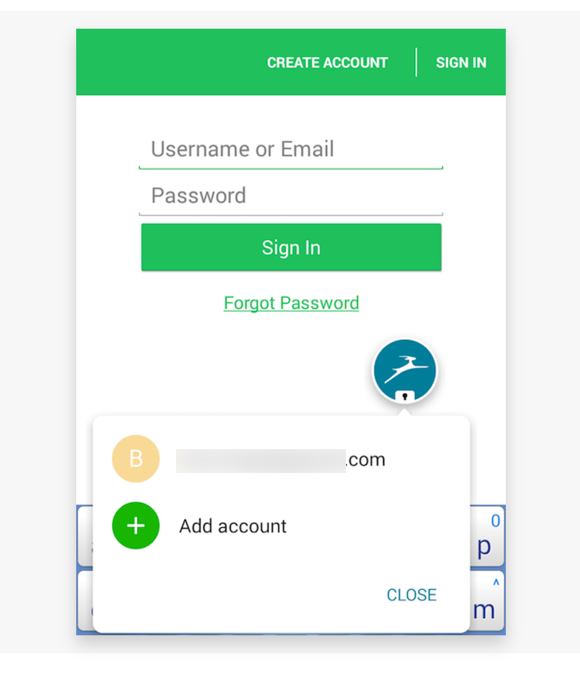 The auto fill login is a great time saver on mobile (though take note, this feature is much better on Android than iOS). To learn more about LastPass to see if it’s a good choice for you, visit them online at: https://www.lastpass.com/. This is one of the most well-established password managers, as it was introduced to the market in 1999 by the company Siber Systems. Since then, the company has worked to improve and expand the Roboform software. Easy to use: Fair. Some of the other password managers we’ve used are easier. + On a desktop : click on browser icon or desktop icon to get access to the software. + On Android mobile: only works within the Roboform browser. The software does not support chrome. + On IOS mobile: supports Safari only, NOT Chrome. It also requires extra tapping and scrolling to access it. Discreet, Not intrusive: Fair. A lot of the password managers we’ve tested pop up when they’re needed, and then hide in the background when the task is complete. This software is visible with a desktop icon and a browser icon. That makes it not discreet, but also easy to find. Auto capture/ save/update login: Yes, this feature is available. However, the feature did not work consistently on all sites during our testing. 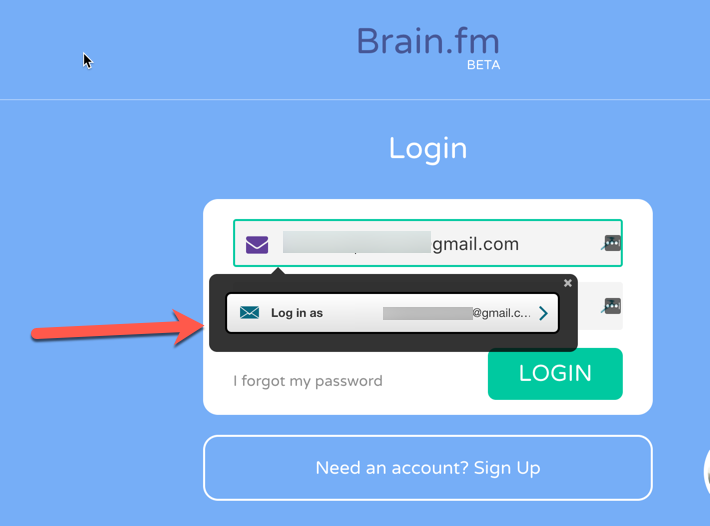 Caution: there isn’t a way to manually add a new login (we tested this feature with Roboform’s free version). You need to manually visit the site and enter your credentials. Export function: Not at the time of this writing, but it’s slated to be available in upcoming Roboform Version 8. Import function: This too will be available in upcoming Version 8. Support all the major platforms and browsers: No, there are some limitations. 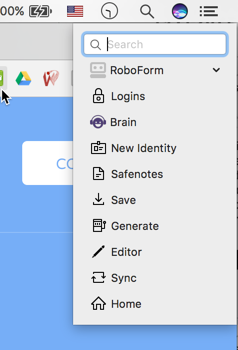 Currently, Roboform supports Windows, macOS, iOS, and Android. HOWEVER, on Android it only works within Roboform’s built in browser, so it doesn’t work within Chrome. On a desktop the software requires a full installation, in additional to a browser extension integrating with Chrome, Firefox, or Safari (on the macOS). While it seems a little cumbersome on paper, it actually does the installation all at once, quickly and painlessly. Note: On iOS (for the iPhone), the software supports Safari only, not Chrome. Sync passwords securely across all devices: Yes, which is a great feature when you’re logging into a variety of sites from multiple devices (computer, tablet, phone, etc.). Digital wallet: No. 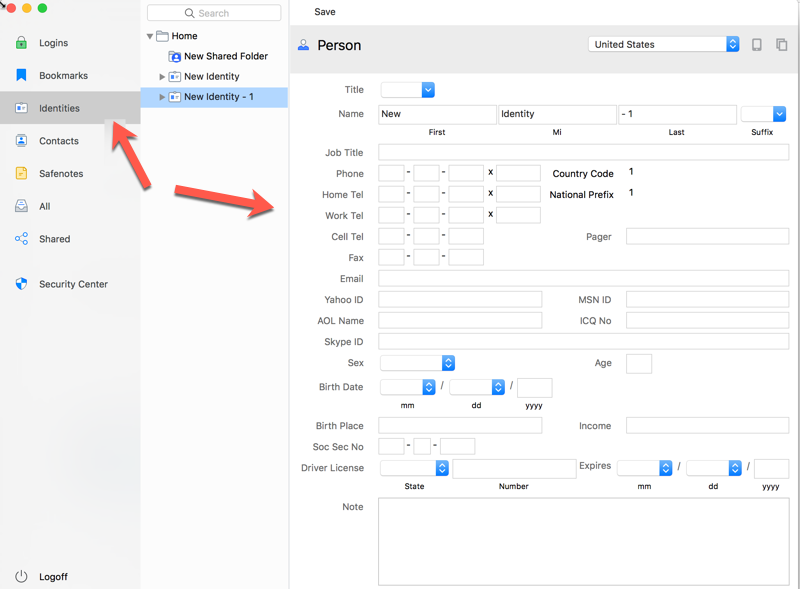 This feature is not available (we tested with the Roboform free version #8 for the Mac). 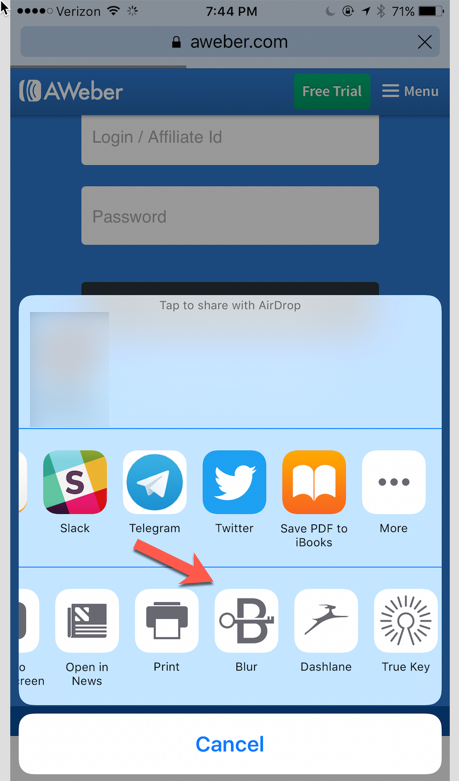 Secure sharing: Yes, this is available with the paid version. Different profiles, entities: Yes, Roboform allows you to create separate identities. For example, you might have one identity for when you’re signing up for free stuff online from an untrusted source, which would include a “throw away” email address. Then you might have another identity with your “best” information to use when you’re making purchases online. Two-factor authentication: No, this extra security feature is not available. + IOS: You need to set it up, and then it takes a few clicks here and there to use the feature. + Android: Take note that this only works within Roboform’s built in browser, which means it does not support chrome. The Roboform feature list looks promising, as it seems to have all the essential features. However, the latest free version that we tested is still very lacking. In addition, it doesn’t support Chrome with iOS, and if you’re using Android you need to use Roboform’s built-in browser. So as you can see, there are a lot of really good password-manager solutions available to you at all price ranges. At this point you may have an idea of which one is a good fit for you. Now you can take a closer look at your short list and pick the best one. Whatever you do, be sure to make a decision as soon as possible. Because the sooner you do, the sooner you can protect your information and make it easier than ever to log into all those sites! On desktop : you just need to click on the browser menu icon to get access to the app. On Android mobile: auto fill works fairly well. 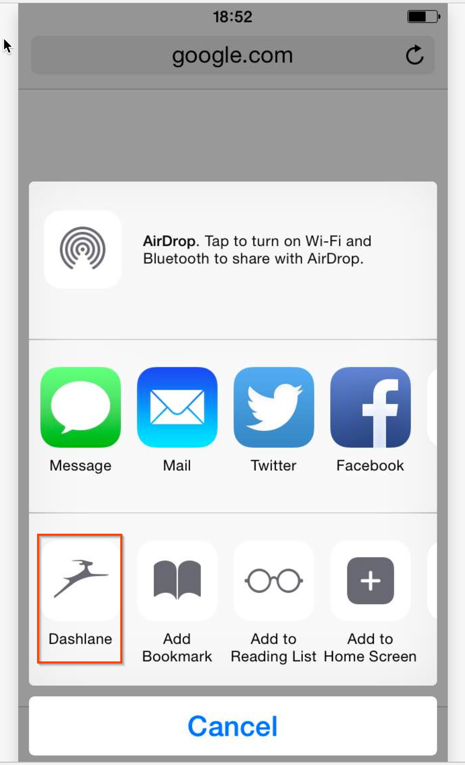 On IOS mobile: Dashlane supports chrome and Safari. However, it requires a little extra clicking and scrolling to access the app. ​To learn more about Dashlane, visit them online at https://www.dashlane.com/. 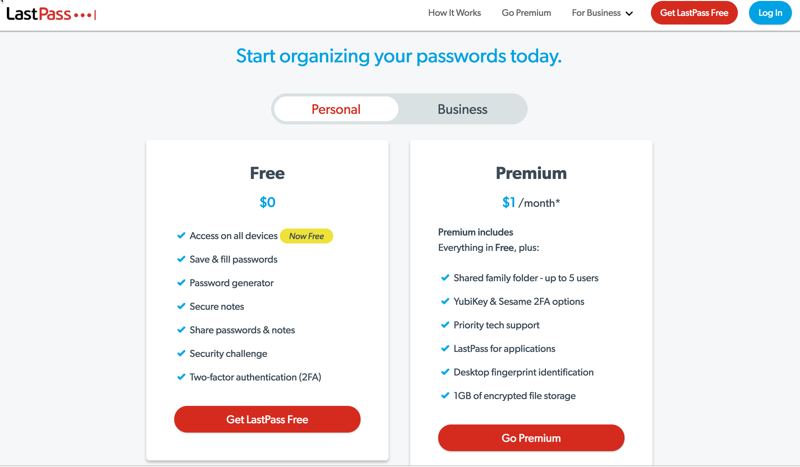 Is LastPass a good choice for you? On a desktop: just right click your mouse to get access, or you can click on the LastPass browser icon. On Android mobile: Our experience is that auto fill works fairly well. On IOS mobile: Unlike some competitors, LastPass supports both Chrome and Safari. It does require some extra tapping and scrolling to access the app. Roboform is one of the most well-established password managers, as it was introduced to the market in 1999 by the company Siber Systems. Since then, the company has worked to improve and expand the Roboform software. Is this is a good fit for your needs? On a desktop: click on browser icon or desktop icon to get access to the software. On Android mobile: only works within the Roboform browser. The software does not support chrome. On IOS mobile: supports Safari only, NOT Chrome. It also requires extra tapping and scrolling to access it. 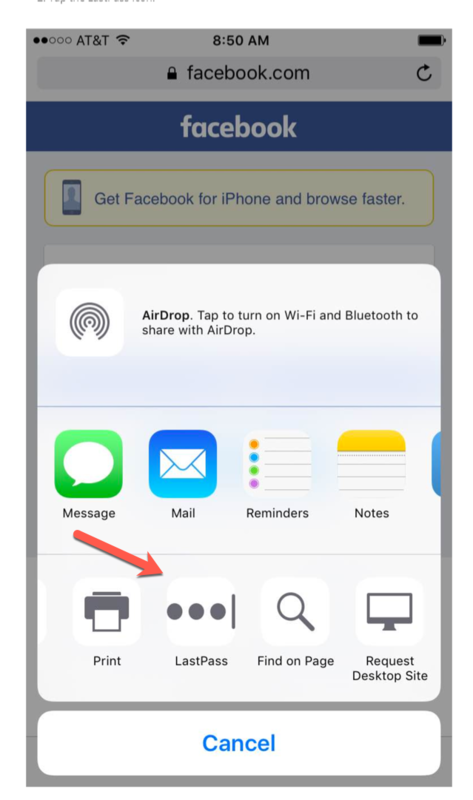 IOS: You need to set it up, and then it takes a few clicks here and there to use the feature. Android: Take note that this only works within Roboform’s built in browser, which means it does not support chrome. Check Out Blur Premium For Only $2.20 Per Month! Start Your Free Dashlane Business Trial In Less Than 3 Minutes!